If you wish, at the end of the course, if you have had 80% attendance , you will receive a Certificate of attendance from Guadalmina Idiomas, free of charge. The certificate will state; the course title, the start date, the finish date, total number of hours attended and level of the course attended. Also, if you need it, we can issue a Certificate of Aptitude. 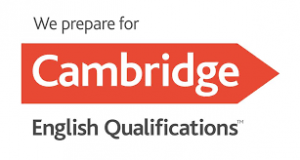 In order to get this certificate you must sit an inhouse exam , the content and marking of which is subject to the criterion set by the Head of Studies at Guadalmina Idiomas. This is an official diploma issued by the Spanish Instituto Cervantes on behalf of the Ministry of Education and Science of Spain certifiying the degree of fluency in Spanish. The DELE includes all variants of Spanish and all are deemed acceptable in order to obtain the diploma. The DELE exams are designed in line with the Common European Framework of Reference (CEFR) guidelines of the Council of Europe. We have preparatory courses specially designed in line with the different tests contained in each DELE.